Last year, Congress enacted 72 new laws and federal agencies promulgated 3,659 new rules, imposing $1.86 trillion in annual regulatory compliance costs on American businesses and families. It’s hardly surprising that America’s economy shrank by 1% the first quarter of 2014, our labor participation rate is a miserable 63% and real unemployment stands at 14% (and much worse for blacks and Hispanics). It’s no wonder a recent Gallup poll found that 56% of respondents said the economy, unemployment and dissatisfaction with government are the most serious problems facing our nation – whereas only 3% said it is environmental issues, with climate change only a small segment of that. So naturally, the Environmental Protection Agency issued another round of draconian restrictions on coal-fired power plants, once again targeting carbon dioxide emissions. EPA rules now effectively prevent the construction of new plants and require the closure of hundreds of older facilities. By 2030 the regulations will cost 224,000 jobs, force US consumers to pay $289 billion more for electricity, and lower disposable incomes for American households by $586 billion, the US Chamber of Commerce calculates. The House of Representatives holds hearings and investigations, and drafts corrective legislation that the Harry Reid Senate immediately squelches. When questions or challenges arise, the courts defer to “agency discretion,” even when agencies ignore or rewrite statutory provisions. Our three co-equal branches of government have become an “Executive Branch trumps all” system – epitomized by EPA. Some legal philosophers refer to this as “post-modernism.” President Obama’s constitutional law professor called it “the curvature of constitutional space.” A better term might be neo-colonialism – under which an uncompromising American ruler and his agents control citizens by executive fiat, to slash fossil fuel use, fundamentally transform our Constitution, economy and social structure, and redistribute wealth and political power to cronies, campaign contributors and voting blocs that keep them in power. Even worse, in the case of climate change, this process is buttressed by secrecy, highly questionable research, contrived peer reviews, outright dishonesty, and an absence of accountability. Fewer than half of Americans believe climate change is manmade or dangerous. Many know that China, Australia, Canada, India and even European countries are revising policies that have pummeled families, jobs, economies and industries with anti-hydrocarbon and renewable energy requirements. They understand that even eliminating coal and petroleum use in the United States will not lower atmospheric carbon dioxide levels or control a climate that has changed repeatedly throughout Earth’s history. However, they know “pollution” and “children’s health” resonate much better than “climate disruption” among voters. So now they mix their climate chaos rhetoric with assertions that shutting down coal-fired power plants will reduce asthma rates among children. It is a false, disingenuous argument. Steadily improving air pollution controls have sent sulfur dioxide emissions from U.S. coal-fired power plants tumbling by more than 40% and particulate emissions (the alleged cause of asthma) by more than 90% since 1970, says air quality expert Joel Schwartz, even as coal use tripled. In fact, asthma rates have increased, while air pollution has declined – underscoring that asthma hospitalizations and outdoor air pollution levels are not related. The real causes of asthma are allergies, a failure to expose young children to sufficient allergens to cause their immune systems to build resistance to airborne allergens, and lack of sufficient exercise to keep lungs robust, health experts explain. But the American Lung Association backs up the White House and EPA claims – vigorously promoting the phony pollution/asthma link. However, EPA’s $24.7 million in grants to the ALA over the past 15 years should raise questions about the association’s credibility and integrity on climate and pollution. EPA also channels vast sums to its “independent” Clean Air Scientific Advisory Committee, which likewise rubberstamps the agency’s pollution claims and regulations: $180.8 million to 15 CASAC members since 2000. Imagine the outrage and credibility gap if Big Oil gave that kind of money to scientists who question the “dangerous manmade climate change” mantra. Moreover, even EPA’s illegal studies on humans have failed to show harmful effects from pollution levels the agency intends to impose. Other EPA rules are based on epidemiological data that the agency now says it cannot find. (Perhaps they fell into same black hole as Lois Lerner’s missing IRS emails.) EPA’s CO2 rulings are based on GIGO computer models that are fed simplistic assumptions about human impacts on Earth’s climate, and on cherry-picked analyses that are faulty and misleading. In numerous instances, EPA’s actions completely ignore the harmful impacts that its regulations will have on the health and well-being of millions of Americans. EPA trumpets wildly exaggerated benefits its anti-fossil-fuel rules will supposedly bring but refuses to assess even obvious harm from unemployment, soaring energy costs and reduced family incomes. And now Mr. Obama wants another $2.5 billion for FY-2015 climate change models and “assessments” via EPA and the Global Change Research Program. 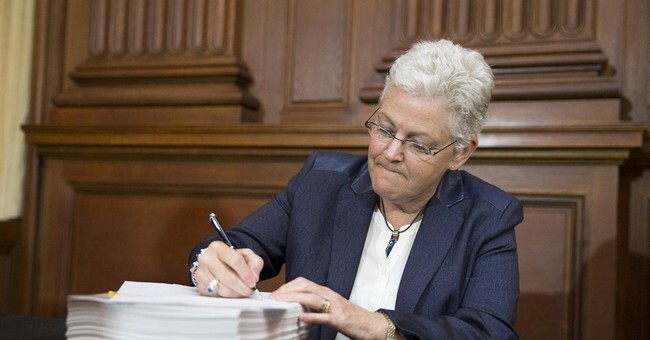 EPA’s actions routinely violate the Information Quality Act. The IQA is intended to ensure the quality, integrity, credibility and reliability of any science used by federal agencies to justify regulatory actions. Office of Management and Budget guidelines require that agencies provide for full independent peer review of all “influential scientific information” used as the basis for regulations. The law and OMB guidelines also direct federal agencies to provide adequate administrative mechanisms for affected parties to review agency failures to respond to requests for correction or reconsideration of scientific information. · Delay or suspend any implementation of EPA’s carbon dioxide and other regulations, until relevant questions are answered, and genuine evidence-based science is restored to the regulatory process – and used to evaluate the honesty and validity of studies used to justify the regulations. Only in this manner can the United States expect to see a return to the essential separation of powers, checks and balances, economic and employment growth – and the quality, integrity, transparency and accountability that every American should expect in our government.